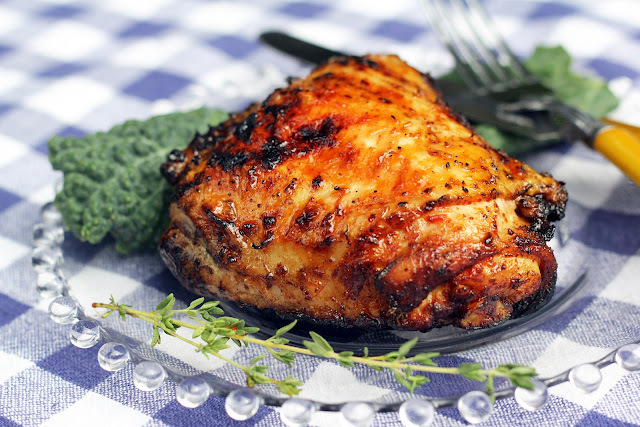 Blue Kale Road: Honey Barbecued Chicken: Summer is Here! Hi Hannah! I'm totally making your chicken recipe. It sounds perfect! Glad your summer is off to a great start. Hi Brittney - it's great to hear from you! I'm delighted you are going to make the chicken and hope you like it. Hopefully our paths will cross again soon. Enjoy the start of summer! What a nice combination of flavours! 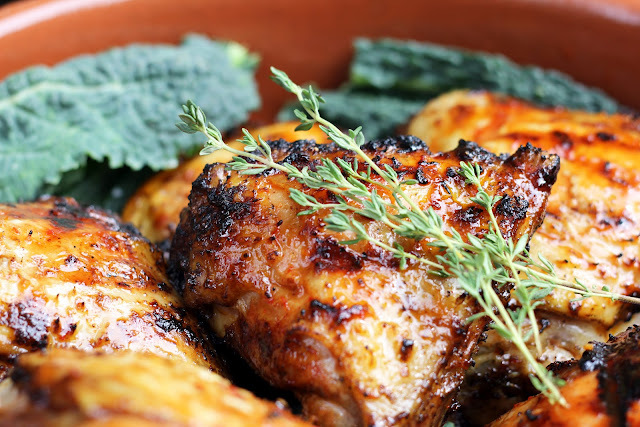 I'm filing this recipe away for our next grilling picnic by the river. Thanks for sharing it. Thank you, Aunt B - I do hope you enjoy the chicken. Grilling by the river sounds marvelous! I wish you many happy picnics this summer. Thank you, Marina! It is wonderful to be kicking off summer...although in true Seattle style it is chilly and rainy again today. Ah well! No need to water and the sun will return. Hope your summer is off to a nice beginning! This does look good for July 4th! I don't care for hot, spicy foods though. Do you think if I left out the chili powder, paprika, and sriracha sauce, it will change the flavor for the worse? Or just not be hot? Thank you, Brooke - high praise indeed! Let's hope for a few of those too-hot-to-turn-on-the-oven days soon...it sure isn't one today. I hope your family enjoys the chicken! Have a great weekend. Thank you so much, Pat! I hope you enjoy the chicken. 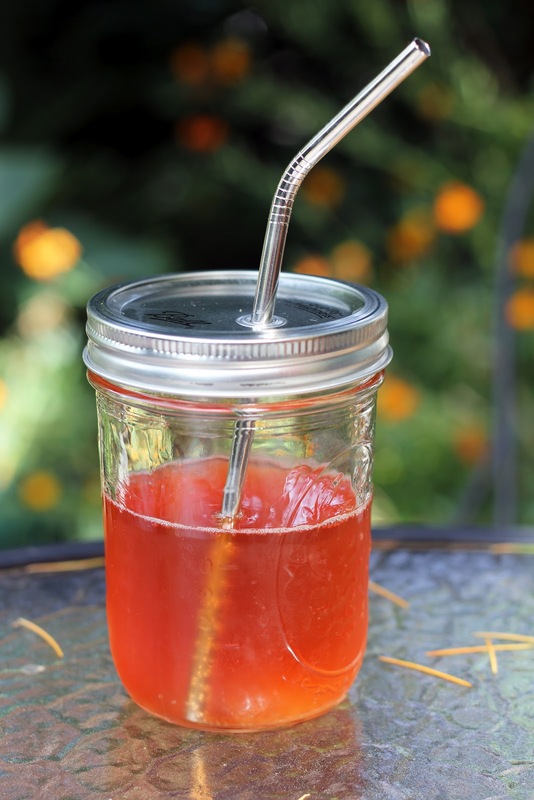 Isn't this Mason jar-straw combo terrific? I was so excited when I saw them. Love the creativity! Wishing you a wonderful weekend. I LOVE LOVE LOVE this chicken! 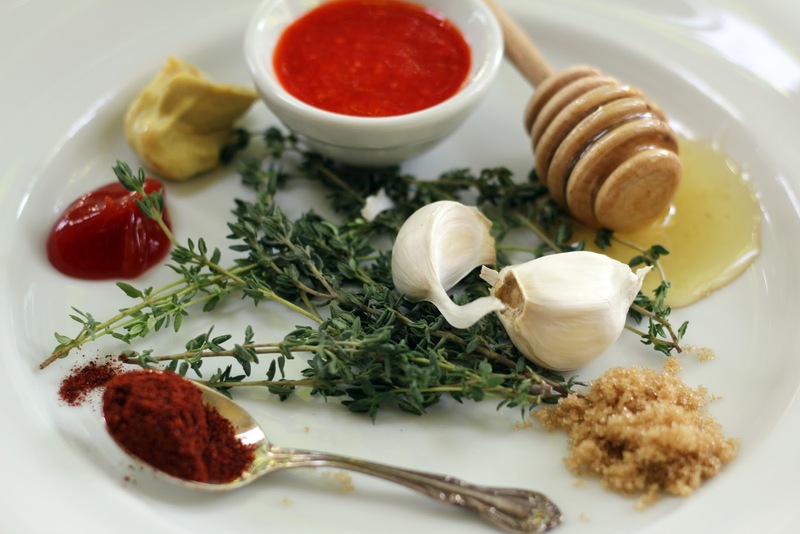 I recommend it to anyone with interest in creative barbeque sauces. Thanks SO much for sharing Hannah! Thank you so much, Erina! Hope you have a terrific week.